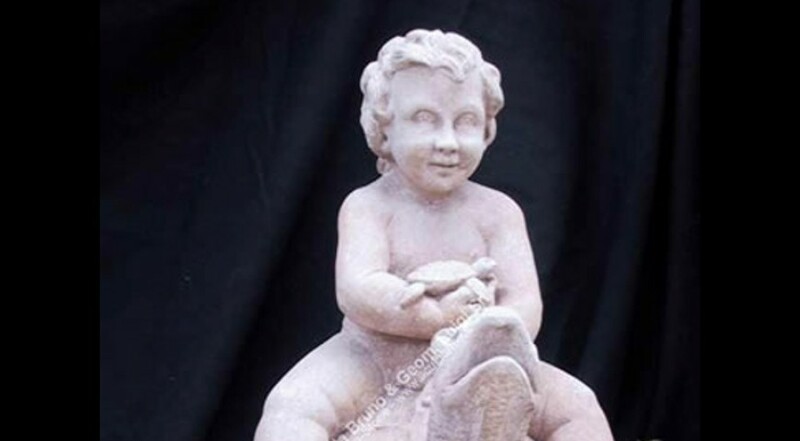 Putto on turtle with a little turtle on hands, our design derives from and revises the original one on the Giardino dei Boboli in Florence on the back of Palazzo Pitti, a great parks with a lot of Italian hand carved stone sculptures (fountain, statues, vases, finials and much more). This nice Giardino di Boboli was built on XV and XIX century. Dimensions: Height 36" x Width 21" x Depth 26"